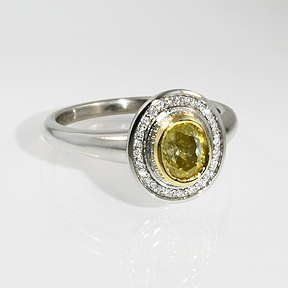 A 1.05 carat fancy yellow diamond is surrounded by 28 small white diamonds (.14ct tw). The white gold ring has a yellow gold bezel. $2395, please call for this item!